Contrary to former US guidelines advising parents to keep peanut butter and babies separate until at least one year of age, recent discoveries have rebutted that line of thinking. Findings have shown that early exposure can reduce the risk of developing allergies by as much as 80%. New US guidelines, a direct result of these studies, advise that babies as young as four months old should be exposed to peanut-based foods, not actual peanuts, to prevent severe allergies later in life. 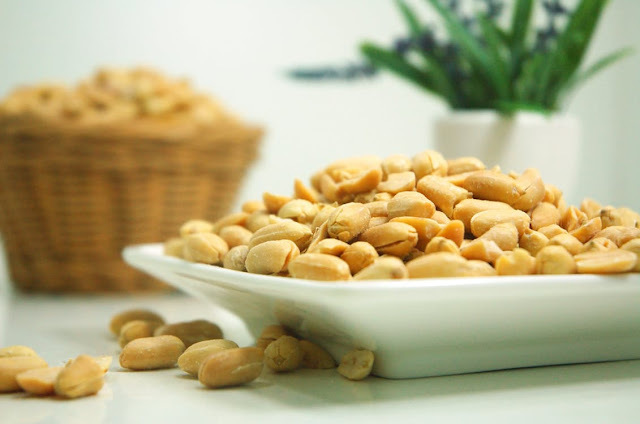 A study conducted in 2015 by Dr George Du Toit, Consultant in Paediatric Allergy at Guys’ and St Thomas’ Hospital, examined the effects of early peanut-product exposure on more than 600 children prone to developing a peanut allergy. Candidates for study were those prone to develop an allergy later in life, characterised by eczema or other food allergies. Once those allergy-prone children were exposed to peanut products at a young age, researchers saw the risk of allergy reduced by 80%. Researchers selected children who were at risk of developing an allergy later in life, not ones who already had an allergic reaction to peanuts. Children demonstrating a strong reaction to a skin prick test were not allowed in the study. Additionally, children with allergic reactions to peanut protein during the study were advised not to eat them. Children with strong reactions to peanuts have no bearing on the results of this study. The study specifically examined whether foods containing peanuts (e.g. peanut butter) can be used to help reduce the risk of a peanut allergy developing later on in life. Dr Du Toit’s findings have been confirmed by research published in September 2016 in the Journal of the American Medical Association (JAMA). Rather than focus solely on peanuts, the research examines the effects of early exposure to eggs and peanuts. The results: children introduced to eggs from ages four to six months and children introduced to peanuts from ages four to 11 months have lower rates of allergies. Authors of the study have stated that further research must be conducted in order to determine a more exact time to introduce eggs and peanuts to children. Noteworthy: Researchers studying eggs and peanuts have asserted with “high-certainty evidence” that the timing of gluten (wheat) introduction is not associated with the development of celiac disease. Dr Du Toit has said that the guidelines in the UK and Europe are under review as a result of his findings and those published in September 2016: “It is exciting and rewarding to note the change in the US guidelines … For high risk infants, the guidelines recommend the introduction of peanut-containing foods as early as 4 to 6 months if solid foods have already been tolerated and after determining that it is safe to do so.” That said, it is recommended that babies at high risk, characterised by a severe form of eczema or egg allergies, should have a check-up before being given peanuts. Allergies have steadily become commonplace. According to a study funded by the National Institute of Health, the number of children with allergies has increased drastically, going from 0.4% in 1997 to 1.4% in 2010. 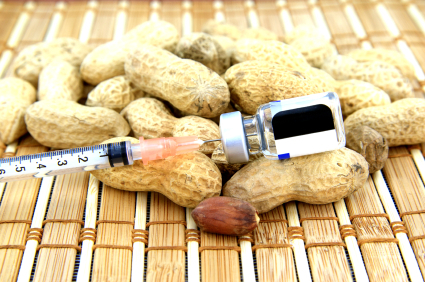 In past years, Dr Du Toit and researchers observed a tenfold higher rate of peanut allergies among Jewish children in Britain and an increase in peanut allergies in children in Western countries and in parts of Asia and Africa. The increase in affected children prompted Dr Du Toit and co. into action, fuelling their initial study.